This morning, Tony Coyne, Chairman of the Cleveland Planning Commission and Felton Thomas, Jr., the Director of the Cleveland Public Library joined WMJI’s Lanigan & Malone show to talk about what’s happening and what’s ahead in downtown Cleveland. Around $2 billion dollars will be pumped into the local economy through the development of the Medical Mart, Convention Center, East Bank of the Flats and Caesar’s Casino. 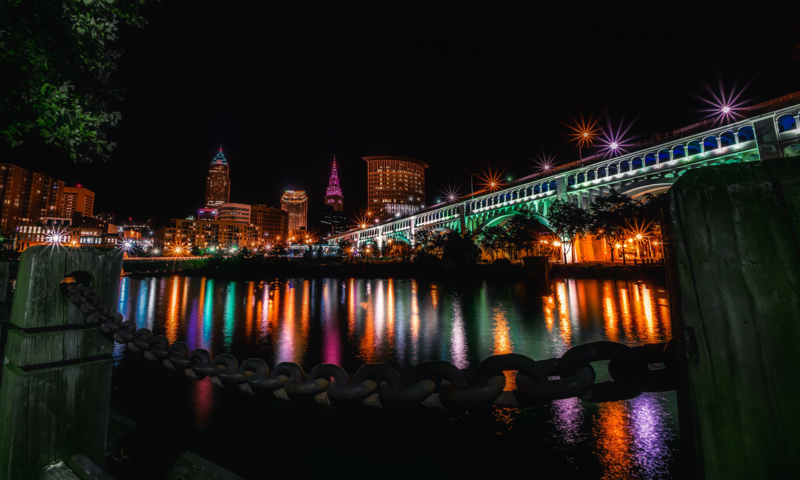 All of these projects must factor into a master plan of growing interest in downtown Cleveland. “We’re not talking about planning, we’re seeing shovels in the ground,” said Coyne. The first phase of the casino project is in the Higbee Building and is already underway. The second phase will be on the Cuyahoga River and is estimated to begin in two years. As part of the development, Coyne said planners will pay attention to the dynamic of Public Square. The first phase of the 300,000 square feet project will take place across four floors of the Higbee Building. “It will start out with about 1,600 jobs,” said Coyne. “You’re looking at $300 million dollars in restoring the exterior of the building and respectfully treating the interior because of the old Higbee that we know and love.” He says he estimates the casino will bring several million people downtown that otherwise wouldn’t be there. Work on the Medical Mart and the new convention center will dramatically change downtown. Coyne said the Malls in downtown Cleveland do not currently get a lot of use because of how the buildings around the different areas are built. Most of them are government buildings and do not directly face any of the Malls. Coyne says that through this new development planners are trying to change that accessibility. He says statistics show that every person that works downtown creates one square foot of retail space. Coyne adds if you live downtown, you add 10 to 20 square feet of retail space. Thomas, who moved here from Las Vegas to take a job at the Cleveland Public Library, told Lanigan that he took the job partially because he liked the town after seeing it during his interview. Lanigan asked if he’d heard the jokes about the city. “I actually heard more of that from Clevelanders than anywhere else.” Thomas said. “We’re hardest on ourselves and we have to get over that.” added Coyne. Thomas says planners are working with various organizations like The Cleveland Professional 20/30 Club. “One of the things that they want is a connection of downtown.” He says that they are looking for something to connect West Sixth Street to the East Fourth Street neighborhoods. This time, I think we can believe that Cleveland is rockin’ and simply not dreamin’. What do you think? I’d like to hear your thoughts. You can hear the entire interview on WMJI by downloading the podcast.